Did you know that today (April 22) is Earth Day? The environmental movement surrounding this observance began in 1970. Now, this special day has become the largest civic event in the world, celebrated simultaneously around the globe. It’s great to see how such a worthwhile idea can be spread around the globe over time, don’t you think? However, as we all know, environmental awareness is not just a one-day event. Today, I would like to highlight our LSG Sky Chefs unit in Auckland, New Zealand, which I think is a great example of how a caterer can contribute to the environment all year round. Our unit in Auckland switched to energy-efficient LED lighting in 2015, provided by Philips. 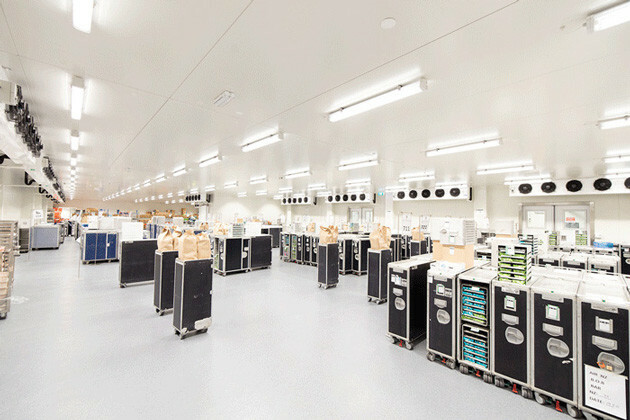 Since our 11,600 square-meter facility at Auckland Airport has no natural light in its production area, optimum lighting is a prerequisite in order to assure that we meet the highest standards set for product quality, hygiene, employee safety and productivity. Tony Wright, our Head Chef in Auckland, explained to me why optimum lighting is so essential for his team of around 50 chefs: “Natural-looking light is crucial when we use sharp equipment, sanitize fresh produce and prepare food. It helps us guarantee absolute consistency.” Sounds logical, doesn’t it? The new LED lighting not only provides clear visibility, but also ensures significant savings in terms of maintenance costs, as far as I’ve heard. Six months after the installation of the 2,000 LED light fixtures, there was still no need to replace or adjust any of the lights. Previously, the onsite facility management team spent around three hours per week on light bulb maintenance – so this is a huge advantage! Moreover, they have less employee downtime since they no longer need to halt production and interrupt business to swap out the lightbulbs. Perhaps you are wondering – how does this actually help the environment? Well, by the numbers, the LED solution targets energy savings of approximately 37 percent when compared to alternative lighting. 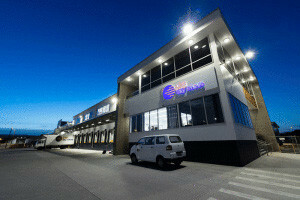 However, the new lighting doesn’t just save money: LSG Sky Chefs in Auckland saves approximately 42 tons in CO2 emissions per year, which is equivalent to taking roughly eight cars off the road for 12 months. A notable achievement, don’t you think? So, what can we all do individually to make a difference on Earth Day? Actually, the opportunities for getting involved are endless! Volunteer. Go to a festival. Install solar panels on your roof. Organize an event in your community. Change a habit. Help launch a community garden. Communicate your priorities to your elected representatives. Do something nice for the Earth, have fun, meet new people and, most importantly, make a difference! But you don’t need to wait for April 22, 2017 to roll around. Earth Day is every day!